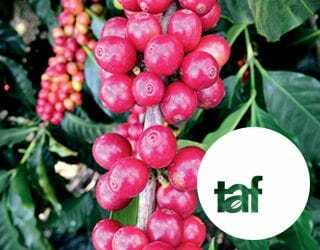 Can We Improve Efficiency & Quality in Coffee Picking? Home Coffee Production & Farming Can We Improve Efficiency & Quality in Coffee Picking? 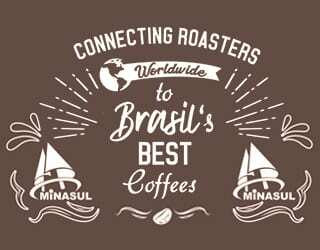 Do you want to produce high-quality coffee that should result in higher prices? Or do you want to efficiently produce coffee, reducing investment and so increasing profit margins that way? The coffee harvest is a key stage in determining a coffee’s worth. It’s important that only ripe cherries are harvested to ensure the final product is of the highest quality. 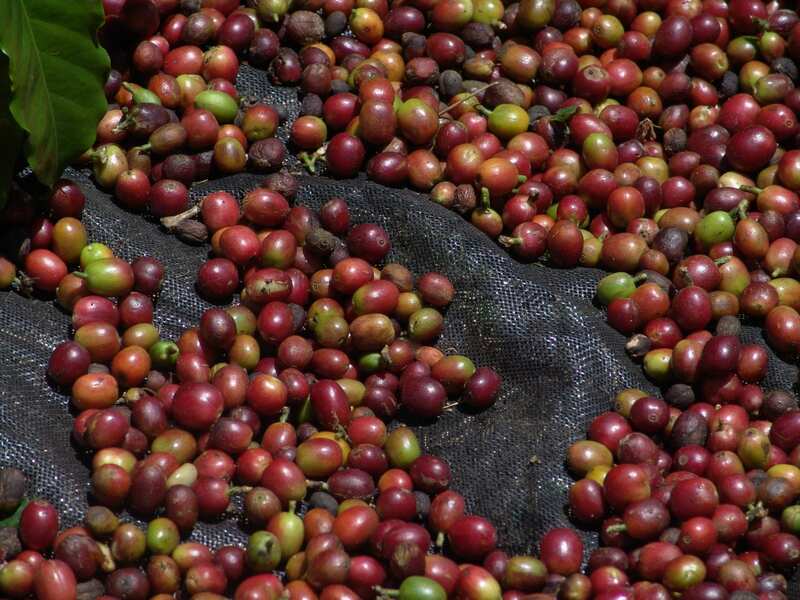 But while global demand for coffee is increasing, many coffee-producing countries are facing a labour shortage – one that, in the worst of cases, can lead to coffee cherries being picked too late or even going unpicked. 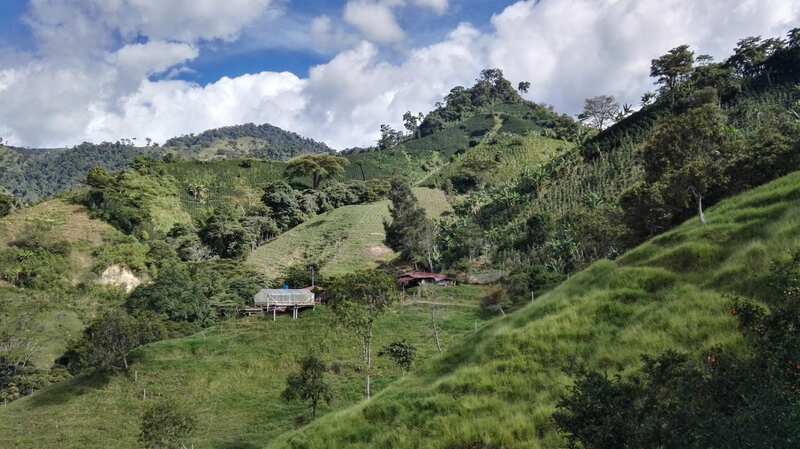 I had the opportunity to speak with Alvaro Gaitán, Director of the National Coffee Research Center Cenicafé in Colombia, about how Colombia is responding to this challenge. 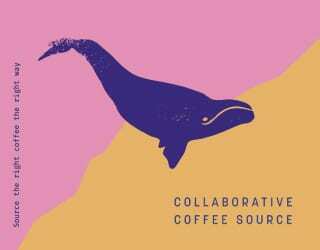 Lee este artículo en español Recolección De Café: ¿Cómo Mejorar La Eficiencia Y La Calidad? Why Is Cherry Picking So Important? 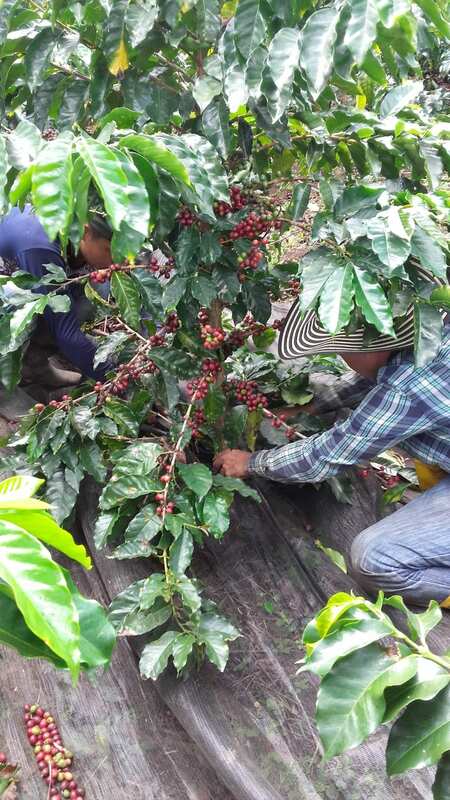 In 2016, the Specialty Coffee Association of America (now part of the Specialty Coffee Association/SCA) and Solaridad released a report, Understanding The Situation Of Workers In Corporate And Family Coffee Farms. In other words, coffee quality is often determined by labour. It’s labour that determines if you can follow best practices, including harvesting ripe fruit, sorting out defective cherries, and carefully processing and drying the beans. And in turn, it’s doing this that helps you protect your farm against coffee pests. Consistency is also a key part of quality: consistent cup scores, consistent processing methods, and consistent farm methods. This means that having an unreliable labour force can be as problematic as having one that’s too small. And the solution is not as simple as paying better wages, especially when labour is already such a large part of the average producer’s budget. 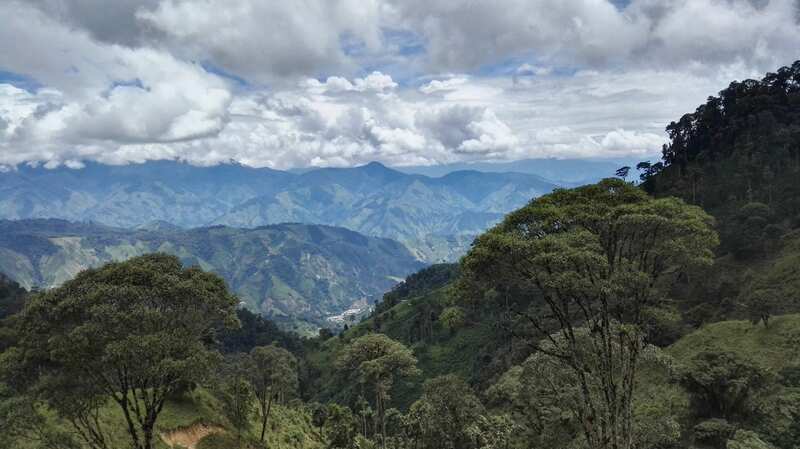 According to Alvaro, in Colombia, it accounts for 40–42% of the cost of production. So, what can producers do? 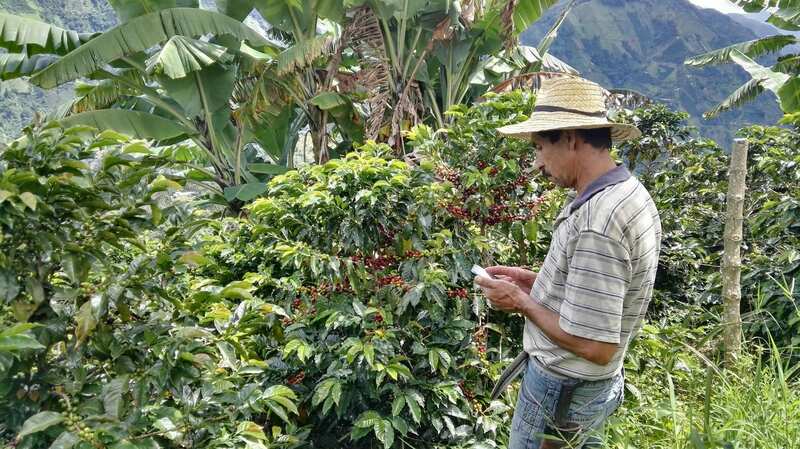 Alvaro tells me that the Colombian Coffee Growers Federation, through Cenicafé, has been working on coffee-picking technology since the early ‘90s. “Over the last few years, the labour shortage is what has made us move towards these technologies,” he explains. 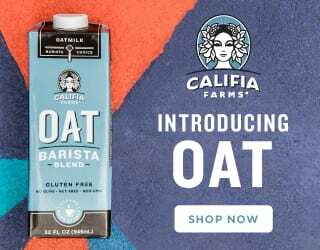 They’ve been looking to countries like Brazil, where automation is common across many of its large and relatively flat farms. However, Cenicafé have been working to adapt the technology to Colombian coffee-growing conditions. This means considering the local topography, weather, and typical pattern of fruit ripening. He explains that the objective is not 100% automation, but to find ways in which automation can aid producers in harvesting. This includes technology such as mechanical shakers, with vibrating “hands” at the end that shake the cherries off the tree. This technology is already in use in countries like Brazil, but Cenicafé has been testing it to see how it affects efficiency and quality. Alvaro tells me that Cenicafé has been working on two particular tools for producers: meshes and mechanical shakers. 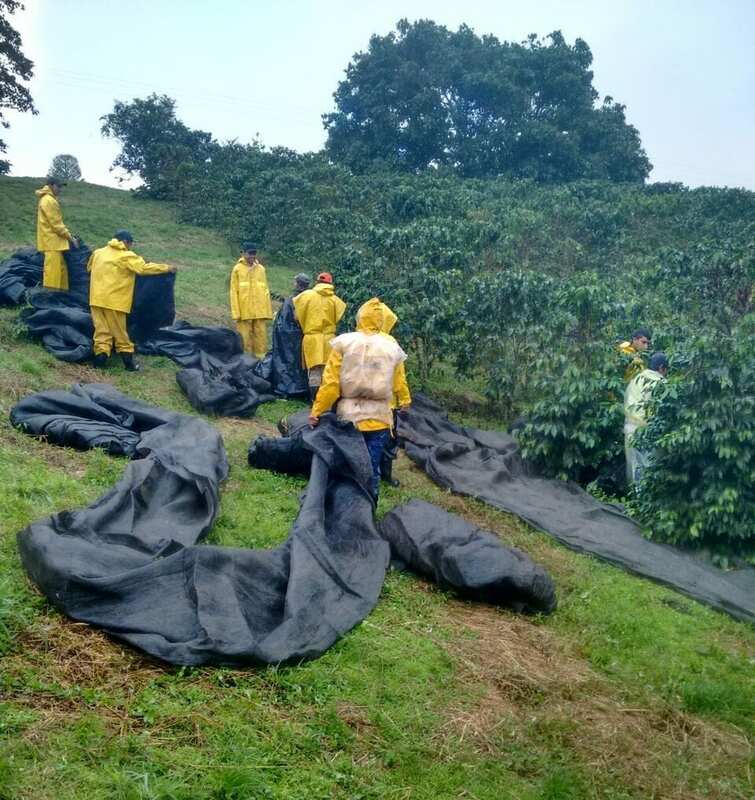 The mesh can be placed on the ground underneath the coffee trees. Then, all of the cherries can be picked at one time and allowed to fall onto the mesh, meaning up to three times as many cherries are collected at once. At this point, the cherries should be sorted, with any unripe ones removed. The meshes are made of Saran and have Velcro ends, allowing multiple meshes to be attached together. In this way, all the ground between the trees can be completely covered. Alvaro emphasises that, for Colombia, this is a completely new way of working: one that’s more efficient but still requires quality control. It may also mean a new payment system for pickers. This is because coffee pickers are typically paid by the kilo. However, with the mesh, it would be much harder to determine who picked which cherries. Juan Carlos Monsalve is the General Manager of Finca San José in Quindío, Colombia. He tells me that he sees the mesh enabling better teamwork. “This could increase the yield of the picking and eventually improve the processes,” he says. The other method, the mechanical shaker (which Cenicafé calls a derribadora), removes cherries by shaking the branches. The weight of the riper, heavier cherries causes them to then fall off. It could also be used in combination with a mesh. However simple the mesh may sound, it presents new challenges. 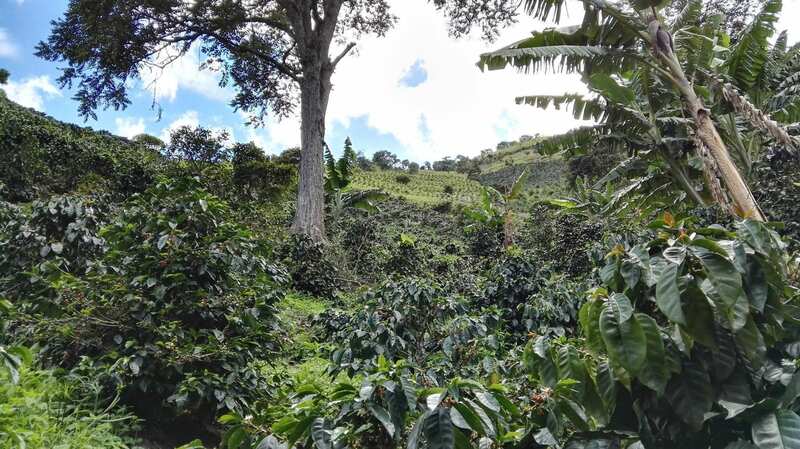 In particular, Alvaro highlights the facts that, in Colombia, coffee ripens at different times across the country and many trees are planted per hectare. The high density can make it hard to place mesh in between the trees. What’s more, the mesh is traditionally used for for strip picking, meaning that all the coffee cherries are removed from the tree at the same time. Yet Colombia’s conditions better suit harvesting the cherries in several goes, only picking the ripe ones each time. Alvaro says that, with a mesh, you would need to wait longer before beginning harvesting to ensure that as many cherries as possible were ripe. Producers, you should also consider the variety of coffee that you’re growing. In high humidity, Alvaro says that varieties such as Caturra and Bourbon ripen quickly. The cherries may even fall from the tree if the harvest is too delayed, meaning they become unusable and the yield greatly decreases. “With our Castillo and Cenicafé 1 [varieties], we don’t see a lot of fruit falling,” Alvaro adds. Carlos Felipe Hoyos is the General Manager of Finca La Esperanza in Chinchiná, Caldas, Colombia. He adds that leaving the cherries on the tree for longer may lead to problems if you’re struggling with pests. The coffee berry borer beetle (la broca), for example, can cause huge problems for a farm. Alvaro agrees with this. He says, “If you do a good integrated pest control, and delay cherry picking [on a farm] with a low incidence of borer beetle, you won’t experience an increase in the amount of beetles on the farm. What About The Unripe Cherries? Cherry ripeness is crucial for coffee quality, which is why you must sort out unripe cherries if you use a mesh. However, what should you then do with the green cherries? And what about the overripe ones? Do they go to waste? Alvaro tells me, “We are figuring out how we can do a pre-fermentation and then process these cherries as normal.” He explains that they may be able to turn these cherries into coffee of varying quality and so avoid “losing income” due to having more green cherries. Although it’s an initial investment, Alvaro believes it could pay off for producers who experience increased efficiency without sacrificing quality. What’s more, he believes farm labourers will appreciate it. Coffee producers, you need to work towards the golden triangle: quality, efficiency, and productivity. Every element is important for profitability. But achieving all three is not an easy task. And as the coffee industry changes, with growing demand for coffee but continuing labour shortages, innovation is needed. It’s important that you find ways to harvest all your coffee without sacrificing quality – and, if you have less workers on the farm, that simply means that efficiency must become even more important. Written by Angie Molina. All quotes translated from Spanish to English by the author. Please note: This article has been sponsored by the Café de Colombia.